Shen Yanxiao helplessly watched Vermillion Bird’s brutal move. She didn’t have the time to talk yet when she saw that fiery little furry ball turned into a red light and flew outside the nest. The next second, two Phoenixes' cries resonated from the sky. The little furry ball that was thrown out didn't understand what was going on, and in the blink of an eye, it fell into a warm embrace. One of the two Phoenixes spread its wings to catch their "flying" child. Just now, they felt in their hearts that their child was about to break out from its sh.e.l.l. At that time, they still had the mind to deal with those stupid humans, but they immediately turned the other way back to their nest, wanting to take care of their newly born child. However, they didn't think that they would directly see their child being thrown out when they had just hurried back to the nest. It made the Phoenixes who had taken a thousand years to breed a child instantly angry! Compared to its parents, the size of the little Phoenix was simply so small that it was almost a negligible existence. It was only the size of a palm of the hand —not even as long as a feather of its parents. Confused and dizzy from being thrown out, the little Phoenix's brain wasn't clear. Its plump body was trembling in the bosom of its biological parents. Looking at that trembling appearance, the hearts of that pair of Phoenixes ached unceasingly. They gently and cautiously protected their child in their wings, and they also bluntly glared at the uninvited guests in the nest. Shen Yanxiao was startled at Vermillion Bird's rude action. She didn't expect that when she hadn't had the time to save the unlucky furry ball yet, the furry ball's biological parents would return back. Great. Although she didn't do anything wrong, Vermillion Bird just threw out someone's child out, and he was even seen by the child's parents. Even if she had ten more mouths, she was afraid she couldn't give any excuse! It took a thousand years for the Phoenixes to breed a child. The period before the little Phoenix broke out of its sh.e.l.l was a very critical time for the Phoenix parents. They were almost always guarding their child. But unexpectedly, human beings had come three or four times to hara.s.s them. And it just so happened that today was the day when the egg would hatch, so the Phoenix had been so reckless to expel those humans who came to hara.s.s them. They just drove off two groups, but who knew there was a third party that had broken into the nest! As soon as they came back, they saw their newborn child being thrown out. How could that not make the two Phoenixes angry? For a moment, flames lit up on the two Phoenixes' bodies, and the temperature in the whole cave rose to a terrible height. "Vermillion Bird, you smelly boy! This time I will really be killed because of you!!!" Shen Yanxiao looked at the two Phoenixes, and without a doubt, the two giants would soon launch an attack at her and Vermillion Bird at any moment. This time she was really innocent. She was just here to get the Inflammation Gra.s.s. She didn't have any idea that there was a little Phoenix here. G.o.d knew what nerve Vermillion Bird had today that he must go and poke at the Phoenix's egg. He was really up to no good. Just really great. Nevermind getting the Phoenix out of its sh.e.l.l, he had also even thrown it away in front of its parents. It was difficult not to face the Phoenixes this time! Vermillion Bird kept on rubbing his arms. The little Phoenix's actions had left a furry feeling on his arms. And he just turned a blind eye to the Phoenixes' anger. You're Read The Good for Nothing Seventh Young Lady Chapter 400 online. If you find any errors or translatation mistakes, please let us know so we can fix that as soon as possible. You're reading The Good for Nothing Seventh Young Lady by Author(s): North Night,夜北. 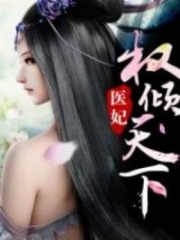 This novel has been translated and updated at LightNovelsOnl.com and has already 8898 views. And it would be great if you choose to read and follow your favorite novel on our website. We promise you that we'll bring you the latest novels, a novel list updates everyday and free. LightNovelsOnl.com is a very smart website for reading novels online, friendly on mobile. If you have any questions, please do not hesitate to contact us at [email protected] or just simply leave your comment so we'll know how to make you happy. Current Time is 26-Apr-2019 15:49:29 PM.